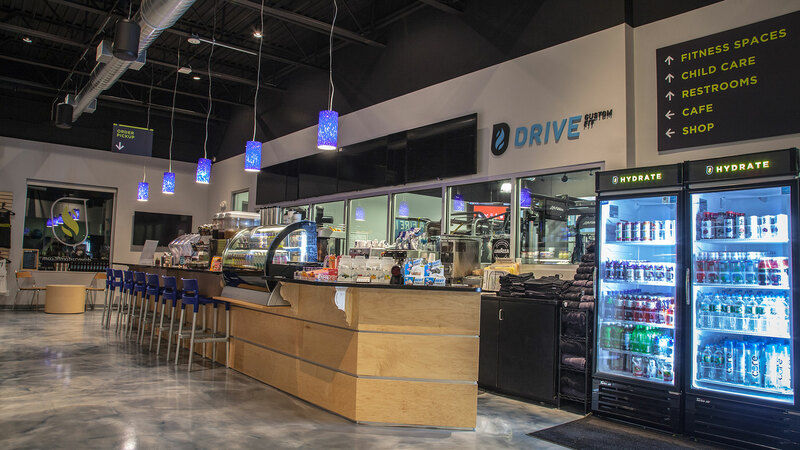 Nourish your body with protein-backed and fresh options at Drive Café Fit. Our selection of protein shakes is as varied as our classes. Enjoy LaVazza Coffee, protein bars, freshly squeezed orange Juice, fresh bananas and more. Pre-order at the Café and your order will be ready post workout. 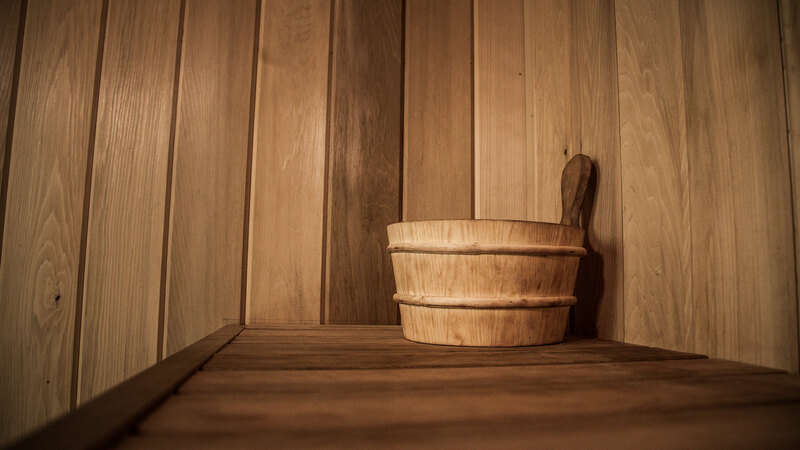 Our locker rooms are spacious and include a sauna, lockers and freshly laundered towels. 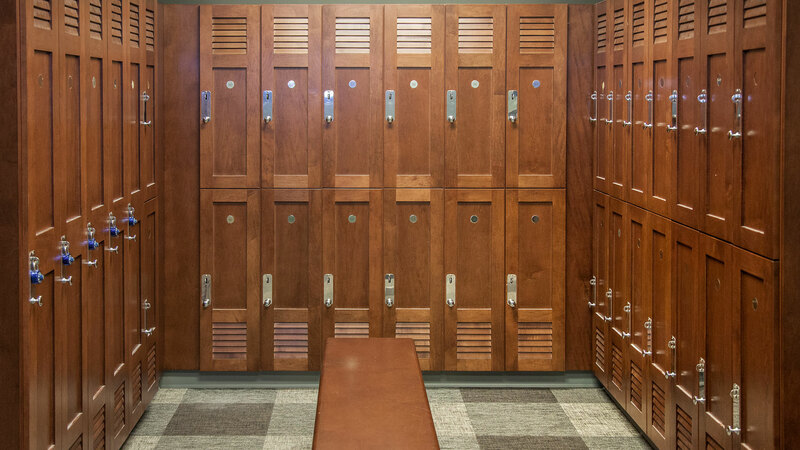 You can keep your gear safe with a monthly locker rental at $30 per month. Childcare is provided with our unlimited memberships or for a drop-in fee. All of our staff are CPR certified. Daycare hours of operation are seasonal so check-in for up-to-date hours. Our daycare staff provide games such as duck-duck-goose, coloring, and movies. Daycare is provided to children ages 4 months or older. Every child that enters our daycare needs to have a waiver and contact form filled out. Childcare hours can be found here. 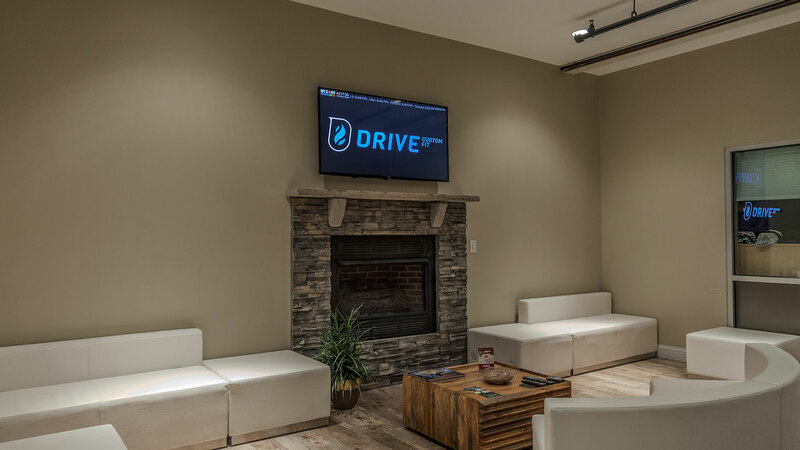 Drive Custom Fit is an ideal location for a variety of event formats. Every private event experience has exclusive access to our state-of-the-art facility and customized class format. Whether you are looking for a corporate and team building event, a birthday party for any age, or a night out with your social group, photo shoot and more, we’ve got you covered. Choose the type of workout: Yoga, EliteZ, Cardio, K.O or any combination of classes that we provide. 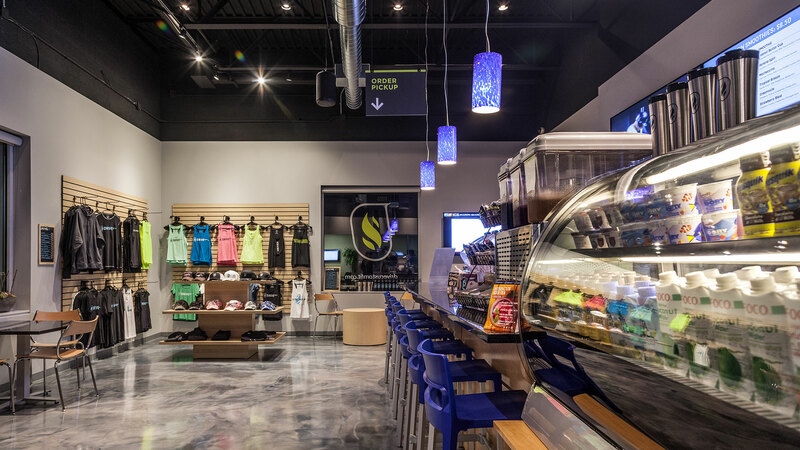 Enjoy the privacy of our facility and if you chose, stay for refreshments from Drive Fit Cafe and add your personal touches. Start your evening off right with a Drive workout then head out for a day or night of celebrating. Drive Custom Fit partners with MYZONE, a group heart rate tracking wearable providing members with feedback based on heart rate zones and effort. 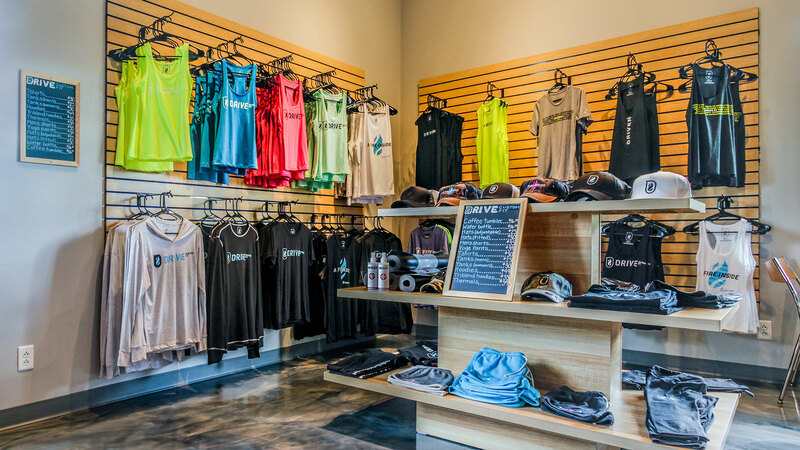 Purchase your MYZONE gear at Drive and get connected to start tracking today. Download the MYZONE iPhone App here or the Android App here.